When your shoulders feel burdened and your heart is heavy, you need to ask whose yoke you are wearing. When stress bears down on your neck and depression clouds your mind, you need to ask whose yoke you are wearing. When despair shuts down your vision and hopelessness siphons your strength, you need to ask whose yoke you are wearing. 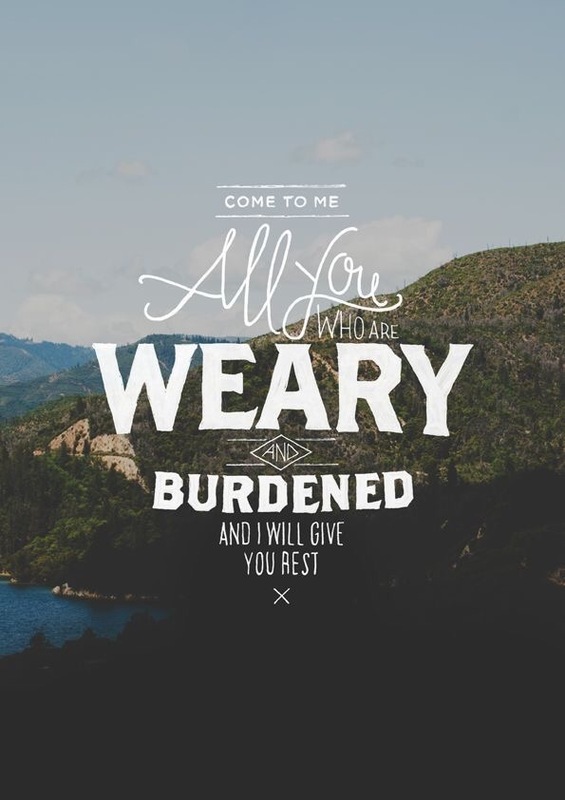 “Then Jesus said, “Come to me, all of you who are weary and carry heavy burdens, and I will give you rest. When Jesus is offering you His yoke, it is an invitation to lay down whatever you are carrying (the yoke you have been walking in) whether it s heavy because of what others have put on it or because of the burdens you yourself have added. It is an invitation to come alongside Jesus and yoke up with Him. His yoke is light for you because He bears all the weight of it. The word used for “easy” doesn’t mean without effort, it means “fit for use”. There is still a yoke to bear and burden to carry. The difference is that Jesus bears the weight of it and gently trains you how to fully function in it. How to walk and rest, follow and trust, and with Him function faithfully in God’s purposes for you.